10.00 - 17.00 // Open until 20.00 on 20 December. Peon Boyle, Elsie Dodds, Sarah Edmonds, Daniel Good, Julie Ingham, hello DODO, Men in Sheds, Shona MacDonald, Sarah Mills, SevenSeventeen, Anna Vartiainen. 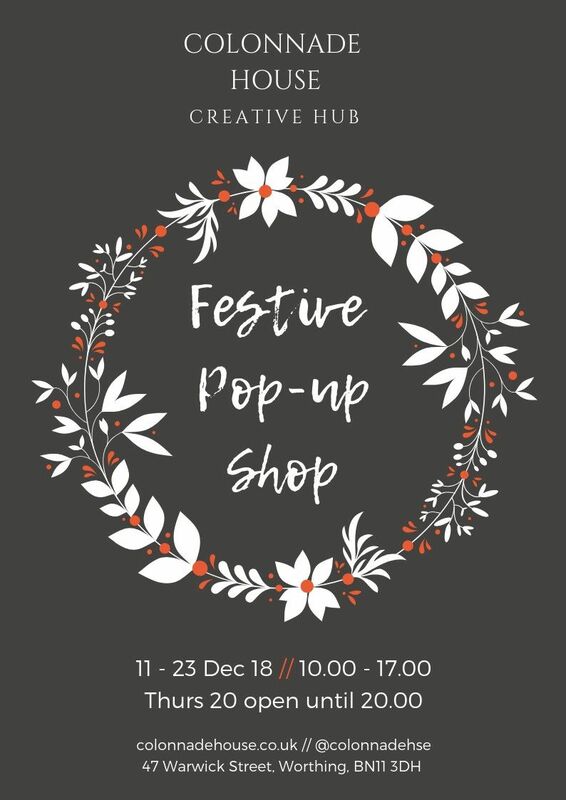 Run by the tenants who work in Colonnade House’s studios, as well as a few other independent makers based in and around Worthing, the shop will once again offer the chance to engage with local creatives whilst shopping for beautifully crafted presents. 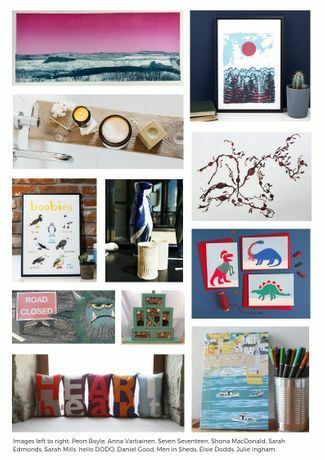 Items for sale will include screen prints, illustrated Christmas cards, hand poured candles and limited edition ceramics. 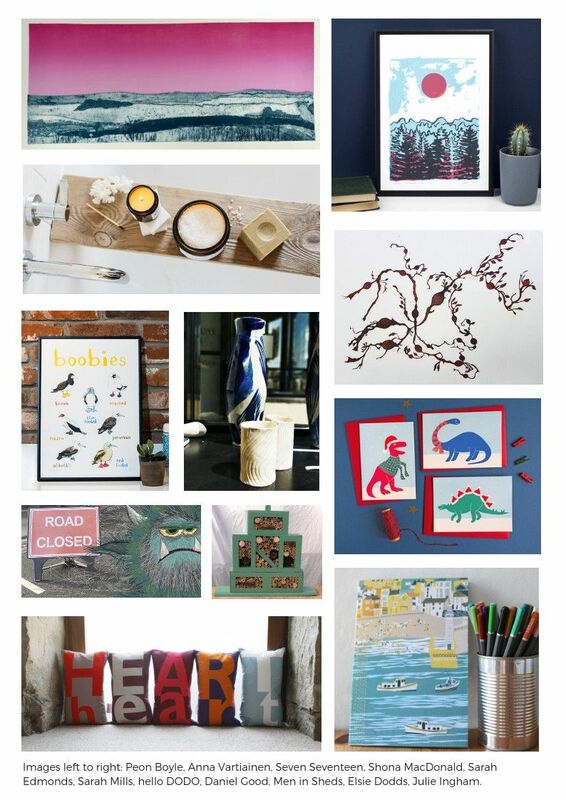 On Thursday 20 Colonnade House will be open until 20.00 for late night shopping. As well as picking up some last minute gifts and chatting to the artists, family-friendly music event organiser TotRockinBeats will be DJing just outside of the gallery from 18.00 - 20.00. We hope that people will join us to enjoy some festive tunes. Featured in The Guardian, Independent and Glamour magazine, SevenSeventeen candles have been complimented for their 'great throw and lovely scents' by Guardian beauty columnist Sali Hughes and for being 'simple in design, beautiful in quality' by beauty blogger Caroline Hirons.